The Athletic Department at Lakehead University recognizes that there is ample research demonstrating the health hazards from the use of tobacco products. In addition, it acknowledges that high profile sports athletes have a powerful influence on the lifestyle choices of youth. 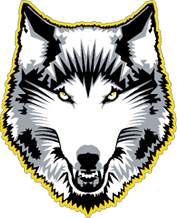 The Thunderwolves’ athletes are involved directly and indirectly with youth in a wide variety of activities through community events and training camps. We wish to promote a healthy athletic environment and portray a positive role model for youth. For the purposes of this Policy, tobacco is defined to include spit tobacco, also known as smokeless, dip, chew, and snuff, in any form and any lit or unlit cigarette, cigar, pipe, bidi, or clove cigarette. Tobacco use includes smoking, chewing, dipping or any other use of tobacco products. The use of tobacco, including smokeless tobacco, by student-athletes, or team or game personnel (coaches, athletic trainers, managers, and game officials), is prohibited in all sports during practice and competition. This Policy applies to all practice, training and competition sites and is considered to begin upon arrival and ends when one leaves. This ban includes related activities such as banquets, autograph sessions, media conferences, post game interviews, clinics and other occasions related to University athletic events and tournaments. In addition, the Athletic Department strongly discourages the use of any tobacco product at any time. Every effort will be made to provide education to prevent the initiation of its use and assist those requiring help to quit. 1. Signage: Appropriate signage announcing this Policy will be placed at entrances to buildings and at other locations as deemed necessary. The Physical Plant Department will arrange for such signage. 2. Publication: This Policy will be announced in the University Communications Bulleting and the Argus. The general policy statement will be included in the University Calendar and will be posted on the University web-site. All prospective students/athletes shall be made aware of the Tobacco Free Sports Policy during the recruitment and orientation process. 3. Public Events: Organizers and attendees at public sporting events using University facilities will be required to comply with the Tobacco Free Sports Policy. Organizers of such events are responsible for communicating this policy to attendees and for enforcing the policy. 4. Tobacco Cessation Programs: Health Services will provide resource materials to students, faculty and staff in order to support their efforts in tobacco cessation. 5. Sale: The selling of tobacco products on campus is prohibited. Any student-athlete or team personnel who use tobacco during practice or competition shall be disqualified for the remainder of that practice or competition. The situation will be subject to review by the athletic director. Officials, scorers and other game personnel are likewise prohibited from tobacco use during training and competition. If observed by a game official or game administrator, the offender shall be directed to immediately dispose of the tobacco product. Failure to comply when directed shall result in ejection. Such actions by game officials will be reported to the supervisor of officials. The success of this Policy will depend upon mutual consideration and cooperation.